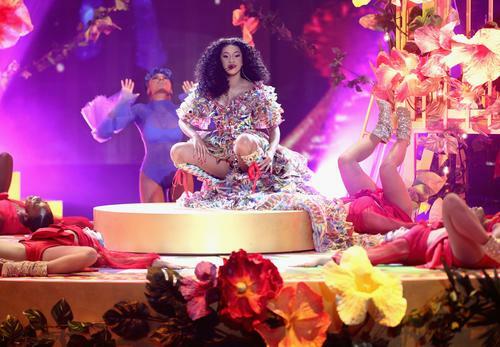 “An evening with Cardi B” was held last night at the Marlboro Houses in Gravesend and although the rapper showed up fashionably late, she finally arrived with her big personality and handed out free coats and sneakers for those in need. According to Page Six, the crowd tallied up to over 300 people who arrived much before the start time of 8 PM to secure their spots. “It’s nice that she came and helped the community. I think she’s a positive person,” an attendee told the publication, while another added how she “came out and represented what a humble person she is. Even though she rose to the top, she came out to the local community." Cardi started out by handing out clothing to kids and next handed out winter necessities to adults too. Check out her video upload to Instagram below that sees the crowd going wild for the rapper. IT WAS LIT IN MARLBORO TODAY !My Hat @astonmartinchuck hit me up a couple of days ago about a coat giveaway we couldn’t believe how big this was and how many people pulled up, i wasn’t ready😩😩!Thanks Marlboro! I shot RED BARZ & PULL UP ON ME out here .I will be back before the year end .THANKS @traxnyc @Astonmartinchuck @danielsleather @nytentsale @mr_Footwork @bg_chopwhop FOR putting this together and the Marlboro community 🎩.I can’t wait to this in my borough next BX.